Mountain guide Ólafur Már Björnsson recorded this video on his drone in a skiing/hiking trip with The Icelandic Touring Association. 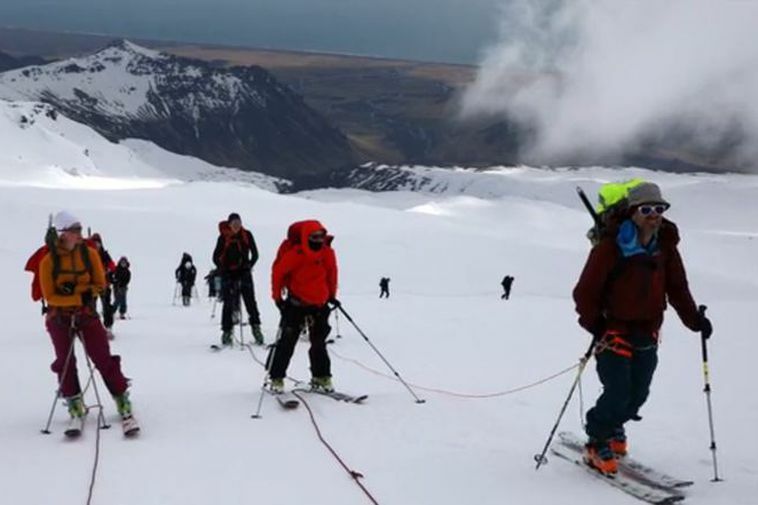 The group hiked upon Eyjafjallajökull glacier, a volcano that erupted in 2010 and closed most air traffic in Europe for some days. “This was a mountain hiking/skiing trip, a new for us,” says Björnsson who was one of three guides on this trip. The group hiked up the glacier, which is 1666m high, and used skis which they had carried up, to manage on the glacier and to ski back down. The trip took nine hours in total and the skis were not usable under 500m, as there was no snow there. “We took as long going up as great hikers would take going up,” says Björnsson. Eyjafjallajökull ´17 from Olafur Mar Bjornsson on Vimeo.